Hulk should go out for track. It's the Endgame, but the Marvel Gallery PVC Statues line is just getting started! 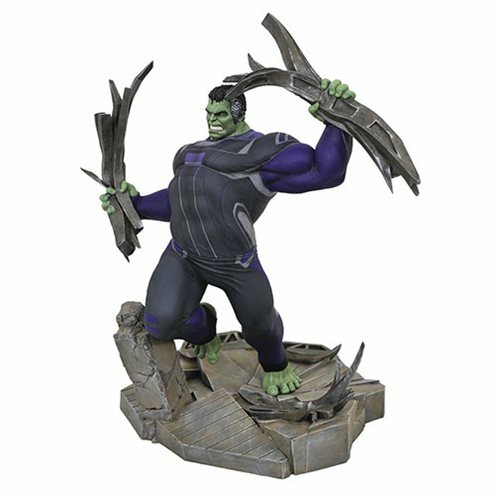 The Marvel Gallery Avengers: Endgame Tracksuit Hulk Deluxe Statue comes in 9-inch scale and is based on the character's appearance in Avengers: Endgame. The statue is made from high-grade plastic, features collectible-quality sculpting and paint, and comes packaged in a full-color window box. Hulk is sculpted by Gentle Giant Studios.